Play to your hearts content at this beautiful home on Lake Winnipesaukee where its' mid-lake location puts you in the center of it all. Enjoy great views out every lakeside window, a great dock and all the other perks of this lovely 4 bedroom charmer. The house, one of only five dwellings on 35 acres with 1500 feet of shorefront, sits mere steps from the water. The 180-degree water view affords an endless display of dazzling light, breathtaking sunsets, and stargazing opportunities. Located in Buzzell Cove, this crystal clear, deep water lakeside home offers privacy and stunning views. West facing 2.2 acres waterfront is ideal for swimming and boating. Clear, sandy bottom waterfront property on Lake Winnisquam! Come and enjoy the terrific mountain views of Gunstock and Belknap mountains and water activities of this lakefront cottage on the shore of beautiful Lake Winnisquam! Charming Alton Bay Lake Winnipesaukee waterfront home with sandy beach! Knotty pine throughout the main house and guesthouse. Enjoy lakeside living with all the amenities you will need to keep your family relaxed and entertained. GORGEOUS POST AND BEAM HOME on LAKE WAUKEWAN! 4,800 sq. ft. of breathtaking views of Lake Waukewan. Sparkling glass doors and windows throughout this home boast an abundance of light and constant views. Comfortable waterfront cottage with private boat dock, sandy beach, screened porch, deck guest house with kitchenette and laundry facility and a large level yard. Lake Waukewan Waterfront Tranquility! Return to an era of simplicity and understatement on Lake Waukewan. This lovely home was built in 2003 but carries nostalgic charm. Within walking distance to downtown Meredith, this luxury sleeps 14! 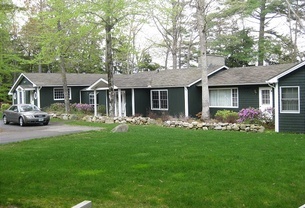 Studio Style cottage right on on Lake Winnipesaukee! Enjoy fabulous open views of Meredith Village and the bay. Step onto a soft sandy bottom and enjoy clear waters for swimming, kayaking and more. Relax on the waterfront and take in the stunning mountain views at this wonderful Lake Winnipesaukee waterfront home with gorgeous views of the Ossipee and White Mountains. Lovely vintage cottage on Lake Winnipesaukee in Moultonborough. Come stay among the grove of Hemlocks and enjoy a vacation from yesteryear. Located in Morrison Cove, with easy access to shorelines east or west outside the cove. 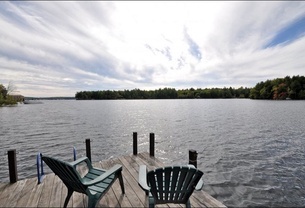 Lake Winnipesaukee Waterfront on Dockham Shores! 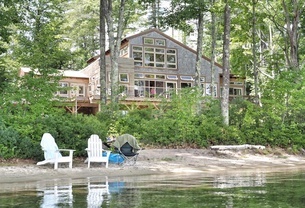 Sweet chalet located on the shores of Lake Winnipesaukee. Fabulous views from this lovely 3 bedroom, 2 bathroom home.